Fit Team Member Of The Month: Shay Massey! In the gym, in the ring, and in the office, this engineer lives the fit life Bodybuilding.com supports. Shay recently won Best Physique in our annual transformation challenge. See how she did it! The fitness lifestyle gets easier the more you actually practice it. In the beginning it's clearly a difficult task, but you gradually stronger muscles and a more confident attitude. You forgo doubt the moment you taste the sweet victory of a new max or a goal obtained. Shay Massey wasn't always a picture of health. She got down on herself and flirted with nutrition pitfalls. But once she put all the pieces together, with the help of a nurturing company outlook, Shay built a physique so impressive, that she almost has to compete now. For all she accomplished, the greatest gain is in her mind. She changed her thoughts to change her whole world. Tell us a little about yourself. What is your position at Bodybuilding.com? How long have you worked here? Well, I started out in the Customer Service department in May of 2012, which was a great learning experience. I recently started my new position as a Software QA Engineer and I absolutely love it. I have a really busy mind, so I tend to do best in a position that requires me to multitask. Honestly, any position within this company is going to be one where you are encouraged to be yourself and strive for progress. The culture here is the best of any I have ever experienced or heard of. 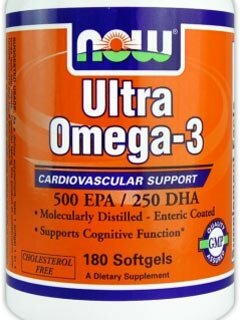 What was your workout/fitness/nutrition level before working at Bodybuilding.com? It is safe to say that I had my struggles in that area. Though most people didn't know it, high school was really tough for me. I had a terrible self-image and was always tearing myself down, no matter how I looked. I went through a few eating disorders, though I generally learned to talk myself into being reasonable before they got too bad. For the most part, I thought the same as everyone else who hasn't done much research; I needed to be low-carb, low-fat, low-calorie, and of course cardio was the answer to fat loss, right? I actually had an older woman tell me to go on the "Cottage Cheese and Sugar-Free Jell-O" diet. Yeesh! I'm glad I opened my eyes before I went down that road. Right before I actually took the plunge into this incredible world, I was depressed and trying to eat less and jog more, which was a setup for failure. I have never enjoyed long-distance cardio. In short, I was out of shape, uninformed, depressed, and desperate! We saw you boxed in a smoker last summer, and won! What did you learn about yourself in that ring? Whew! That was definitely a learning experience. I went into that about six weeks before the fight, and had two formal training sessions per week. I completely applied myself, worked harder than ever and got a knockout within the first 30 seconds … OK, not really. First, I confirmed the notion that I do not enjoy getting hit in the face. Second, I learned that even though I had been raised to respect boxing as a sport, I knew little about it. I looked similar to a windmill (miniature of course) and failed to breathe most of the time! I would say that I certainly appreciate how important it is respect knowledge to knowledge from all sources and focus on the moment you're in, especially in the heat of the moment. I did win the match by decision, but it was more comical than anything. What sort of other competitions do you enter to prove your athleticism? I did a figure show early in my fitness journey and can look back and say that I should not have been on stage at that point. However, it was a great experience and I will only grow from it. I am currently working with Brooke Erickson, IFBB Pro, to get myself into competition shape. I have been out of the gym for about eight weeks due to surgery, which was hard, but I'll take advantage of those newbie gains again! I haven't decided as to whether I'll compete in physique or figure. However I do plan on getting my pro card within one year of competing again. 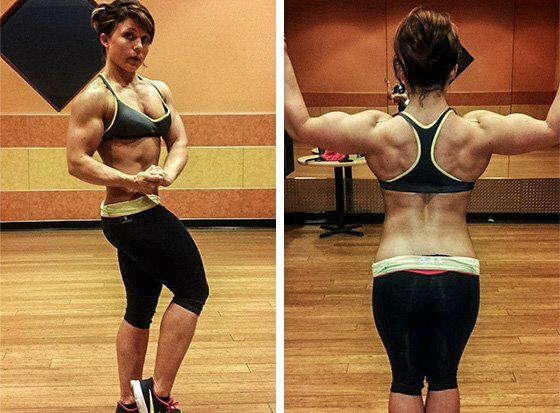 Some women seem terrified about building muscle. What would you say to encourage them in strength pursuits? Well, I understand that fear. I had the same mindset when I started. What I like to point out is the result of neglecting your muscles and focusing only on fat loss. You can definitely lose that 5, 10, or 50 pounds without lifting a weight. However, when you do, you will be left with a soft, shapeless body. Adding muscle helps to give a more tight, toned look. It's more than looks; it is a much more healthy body, which is more important than anything. There are so many fitness gurus out there, so I always recommend that anyone interested in fitness does some serious research before committing to anything. And not many women realize it, but unless you are trying very hard to gain muscle and get "bulky" it just won't happen. Believe me, I "gain muscle easily" and I have to work very hard to get the size I want. What is it like working at Bodybuilding.com? Does it create a helpful fitness environment? Of course! We are given so many incentives, tools, and methods of accountability. The only reason a person would not reach their goals here would be lack of application and dedication. We have endless knowledge and support available. It's incredible. What is the most valuable lesson that you have learned on your journey to fitness? Probably that so many of our personal limits are simply mental blocks that we assign to ourselves. We, as humans, have so much potential, but we tend to assign a role or label to who we are or should be. This creates mental limitations which can prevent one from even trying to reach their dreams. To put it simply, I've learned to overcome my mental limitations by believing in myself and knowing that I am capable of accomplishing what I put my mind to. 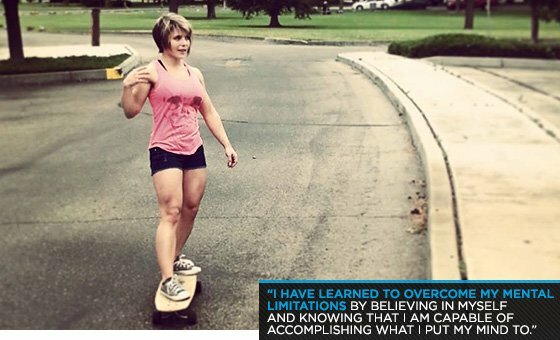 How has working with Brooke Erickson helped your fitness life and career? Is she as tough as she looks? Brooke is incredible. She is well-recognized because she keeps herself real, and many women can relate to her. Her mindset and attitude are always positive and encouraging, which is why I am sure she will always excel in life. I strongly believe that you become like the people you surround yourself with, and for that reason, among many others, I plan to have her in my life forever. I have no doubt that with her support and guidance, I will succeed. Brooke definitely looks tough, but she is so sweet in person. Now, if by tough you mean strong, then she is tougher than she looks; that lady is a beast and definitely outworks others. Your physique is so balanced, symmetric. 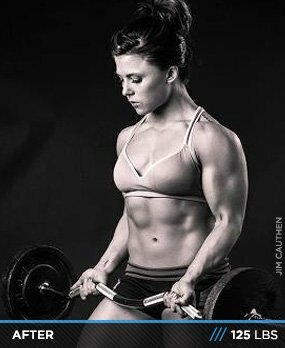 Is that a product of heavy training in the weight room or genetics? Both? First of all, thank you so much! I would say that while I do have genetics to be more muscular, it has much more to do with nutrition than anything. I lifted heavy and hard in the beginning, but my diet was poorly constructed so I stayed smaller and hit plateaus quickly. Once I learned about great nutrition—meaning I started to eat sufficient carbs and calories—I combined that with my heavy training and saw better results than ever before. It is both training and genetics, but out of everything nutrition is the key to success in that aspect. What are your coworkers like? Nerds. Haha, really they are awesome. I do have to watch my back for random nerf darts, but they keep me on my toes. The level of ridiculous puns floating around every day is incredible but keeps things entertaining. John Sosoka is a powerful pun producer! They also taught me about the dangers of dihydrogen monoxide or DHMO— always learning something new around here. 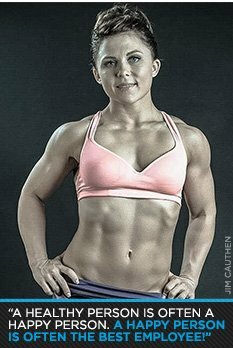 Did someone from Bodybuilding.com inspire you to reach your goals? Yes! Many people, but the biggest motivator was, and is, my fiance, Brock. He helps keep me accountable, motivated, and definitely pushes me beyond my limits. You won the John Hardesty look-a-like contest at the BFE? Great hair! What's that all about? I don't know if anyone can actually reach the level of style that guy has, but I just gave it my best shot! What types of activities do you enjoy outside of work and the weight room? I love my family time. I have an incredible fiance who just so happens to work at Bodybuilding.com as well, and we definitely keep life positive. From camping and road tripping to relaxing and listening to audio books (Yeah, we totally do that!) I enjoy every single moment with him. He is always encouraging me to be a better person in all aspects of life. Sometimes he doesn't even know he does it. Does practicing the bodybuilding lifestyle improve the productivity of Bodybuilding.com? Of course! It doesn't even have to be the bodybuilding lifestyle, just fitness in general. A healthy person is often a happy person and a happy person is often the best employee! No wonder we have so many incentives to stay fit! Now that you've won Best Physique in our Fit Team Member contest, people will look to you as an inspiration. How do you handle that responsibility? I personally love knowing that I might help someone find the motivation to succeed in any area of life. My favorite types of people are the ones who ask questions. More specifically, I admire the ones who ask, listen, and apply what works for them. I really hope others are able to relate to who I am, within fitness, career, family, and life in general. Where you start does matter, but your success will be measured off of your mindset and effort more than anything. With the knowledge and personal experience I have gained living with low self-esteem, unhealthy relationships, and eating disorders, I've been able to analyze those experiences, realize what was needed to change them and, most importantly, actually do what it took! I guess what I am trying to say is that I want to make a positive impact on every person I meet. I truly believe that we all have a message and that by sharing mine others may realize the power of positivity. What advice can you give to those wanting to make their first steps to transformation? The first thing is to make sure you stay positive with every single thought. This is definitely a learning process, but pay attention to your thoughts and make an effort to correct them. Instead of thinking, "I hate the fat around my belly" think something more like "I will feel so great to fit into my old jeans again." Using positive thoughts will create positive feelings and thus positive reactions. It is also important to realize that what you are doing is starting a journey. This should not be a "quick fix" or a race to the finish line; you should strive to create a better lifestyle and future for yourself. While 12 weeks or 6 months may feel like a long time right now, you will get there at the same rate no matter what. If you start now—not tomorrow—you will be that much closer to being able to look back with pride, knowing that every day was an investment, or a compilation of choices, leading to where you want to be. Big changes are made with small steps. Do you have a favorite quote/motto? My personal motto is something along the lines of: Each day will pass, of that there is no control. One's own effort to make a positive investment every day will increasingly enhance the value of the days to come. Was anyone a strong source of inspiration for you when you first started? 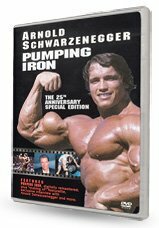 When I was a child, I remember watching Pumping Iron with my brother, whom I idolized. So of course I thought Arnold was the best thing ever. As far as people in my life, my mom always made it a priority to go on adventures, and that inspired my love for the outdoors. My siblings were always active and that really motivated me to follow in their steps. Since then I have created my own path. However, I'll always look up to them and, no, not because of my lack of height! Other than the obvious Brooke Erikson, one person I respect in the industry today is Dr. Layne Norton. He studies what he loves and shares the results of his research with the public for free. Not only does he maintain an incredible physique, he has a brilliant mind as well. 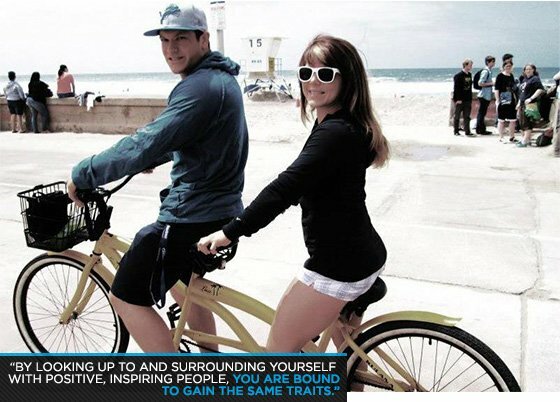 Why do you think more people are turning to "everyday" inspirational personalities to help motivate them? I think society is starting to realize that as glamorous as Hollywood is, the beauty portrayed is often unobtainable. By looking up to and surrounding yourself with positive, inspiring people, you are bound to gain the same traits. Gaining motivation from everyday people helps bring an element of humanity to your goals. These people are often going through struggles, living chaotic lifestyles, and learning as they go. These people help show that a balance between fitness, family, and career is not only obtainable, but beneficial to everyone. What does health and fitness mean to you? I always love this question. I find it interesting to hear different people's answers. Health and fitness is much more than having a six pack, lifting heavy weight, or making sure to get all my veggies in. I believe in striving toward ultimate health of the mind and body. To me, that means being aware of my actions and making an effort toward bettering myself every day. Whether it is a physical, dietary, educational, or professional goal, I understand that few if any humans have reached their full potential. The only way to be truly healthy and fit in every aspect is to strive toward nurturing my body, my mind, and the connection between the two. I generally lift heavy. I believe that muscle failure is the best way to induce growth, but I also realize the importance of periodization and undulating routines. I strongly believe in timing rest periods and recording each workout. My older brother always taught me to beat my previous workout every single time. Whether by weight or reps, if you continue to push yourself mentally and physically, there is no reason to reach a plateau! I also make sure to spend at least five minutes warming up, with a focus on the body part I am about to train. Get those joints moving with steady, controlled movements to prevent injury! This is intense, no rest during drop-sets, just rest-pause with 5 deep breaths when failure is reached. It is best to have a spotter to remove the weights for the dropsets. 2-3 minutes rest between full sets. 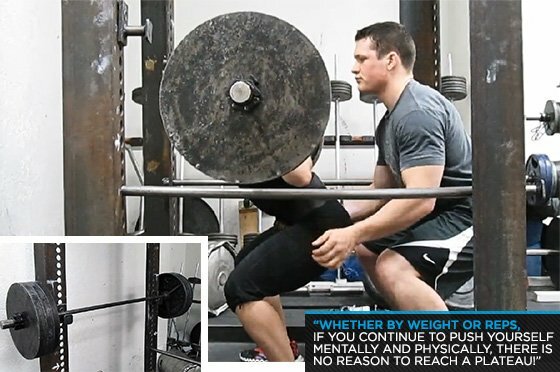 The reps are not pre-determined, but this is a general goal range: 20 reps, drop weight; 15 reps, 10 reps; drop weight, 5 reps.
Focus on glute/hamstrings by placing your feet high on the platform. Hold weight for 7 seconds at the bottom of each rep. I strongly believe in carbohydrate timing! I consume 20 percent of my carbs at breakfast, 25 percent pre-workout and 25 percent post workout. The rest are spread throughout my meals. This is a concept I adopted from both Brooke Erickson and Layne Norton. When needed to fit in extra macros! Professional photos courtesy of Jim Cauthen.